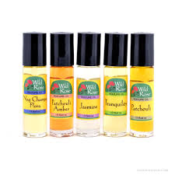 Essential oils may well be the ultimate gift from nature. 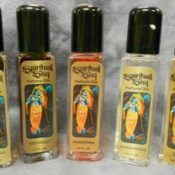 Made from the aromatic essences of plants, they have a remarkable ability to affect a person’s well-being and improve the environment around them. Explore the many essential oils offered by Aura Cacia, that can help you achieve physical, emotional, mental and spiritual well-being. Non-organic oils are .5 fl. oz. Organic oils are .25 fl. oz. 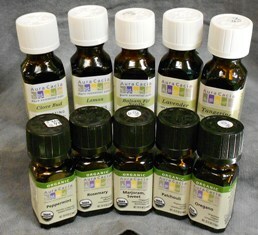 Proud retailer of Auca Cacia Essential oils. We offer the whole line to you and keep as many in stock that we can. Prices vary for each oil due to demand and the process of extracting the oil from the different plants. Feel free to contact us on availability as it does vary time to time. Thank you!